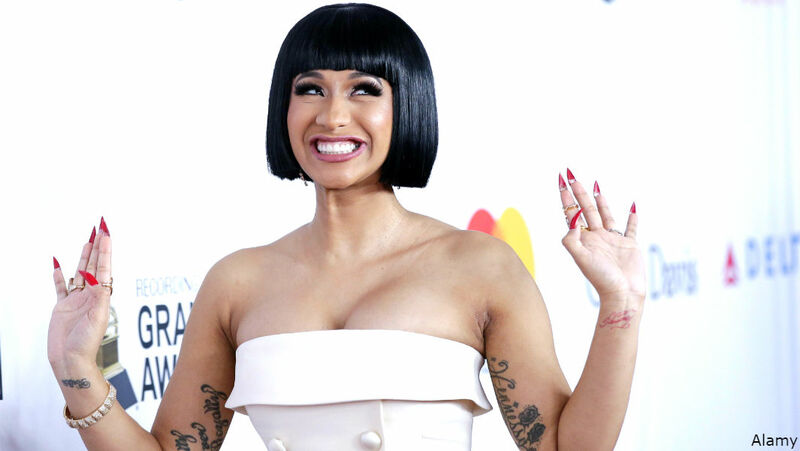 New extension with images of rap goddess Cardi B. Many people know her story but for those who don’t here are some interesting facts about this artist. Firstly, her real name is Belcalis Marlenis Almanzar and she was born in The Bronx. She is 25 years old and she openly speaks how she was a stripper and is famous for her ”no filter attitude”. This rap performer is known for her famous sayings with very deep meaning – “Okkurr” and “Eeumm” (well said, Cardy). People idolize her because of her childish behavior and her extravagant style. The newest gossip that took the world by storm is – Cardy B is a mom to be! (wow, that rhymed!). Cardy denied her pregnancy accusations publicly and said that she just got a bit chubby, until she announced her pregnancy on SNL when she just revealed her round belly in a tight dress in front of the cameras. She revealed that her name originates from an alcoholic beverage Bacardi. Cardis sisters name is Hennessy so people thought of a creative nickname for Cardy – Bacardy, which she shortened it to Cardy and added the B, “the ‘B’ stands for whatever… depending on the day,” she said. At the moment, this great rapper is dominating the charts and 2018 is expected to be the best year yet for Cardi and her career. In this tab, you will find photos of Cardi being Cardi – goofing around making funny faces, but on the other side being the glam goddess she is. Enjoy this tab and feel free to share with your friends.